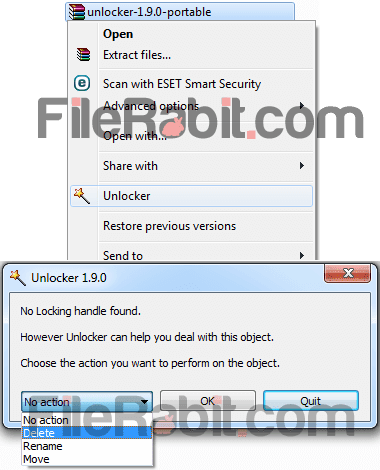 Unlocker is powerful unlocking handler used to copy or rename files immediately. A simple, light and smart tool used to delete and move folders easily. Sometimes a file can’t deleted because of some process running in the background is using that file. There is only single way to delete that file that is identifying and killing that background process before deleting file. Unlocker named it locking handler that term means the file you gonna delete is protected or used by another process that is current running. Advanced users can easily kill target running handlers from Task Manager under Processes tab. A beginner user is always in trouble while doing similar operation e.g. deleting, renaming and moving of a file or folder. 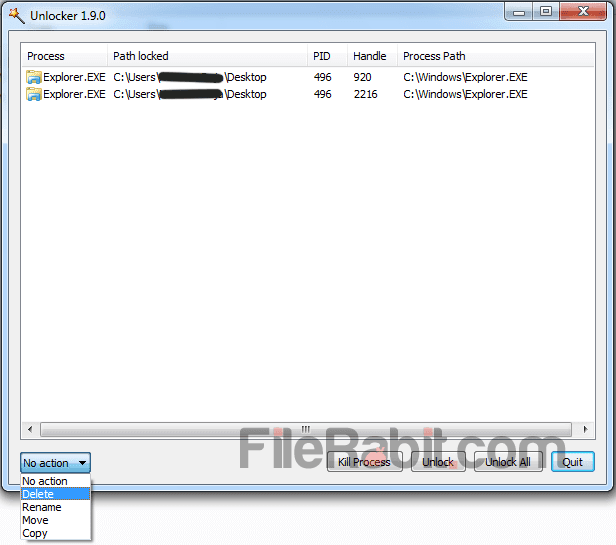 Explorer.EXE is the one of top process which operates most of windows programs. However, Unlocker is the key used to open blocking handlers with a single click. You can copy, move, rename and delete target file/folder through this utility tool. Unlikely, Windows OS is showing different errors to user interface showing something related to can’t delete / move / rename file for many reasons. Windows XP users were facing more errors that later OS consumers. Make sure the disk is not full or write protected and that the file is not currently in use.